One year ago today Mr. Q and I were in Copenhagen about to board our cruise ship to sail off to Norway, Scotland and England. We had such an amazing time on that trip (to see all of my travel posts click on ‘travel.’ over to the right under ‘stuff.’). We loved it so much that we tried to do something similar again this year. We had a British Isles cruise all picked out. In addition to visiting some ports in Scotland, it also stopped at several ports in Ireland, a couple of spots in England and even one port on the coast of France. We were literally minutes away from booking it when Mr. Q remembered that he had some other obligations in May this year that meant the timing wasn’t going to work. We next looked at the option of going later in the summer, but the price was more than $2,000 higher for the same trip. Yikes! We just couldn’t justify that. Since then we have tried four more times to book a trip for this year and each one has fallen through for some reason or another. So we decided maybe it just wasn’t meant to be. At least for now. Our travel agent (a.k.a. my mom) is keeping an eye out for some last minute deals, but otherwise maybe we’ll just try again next May. 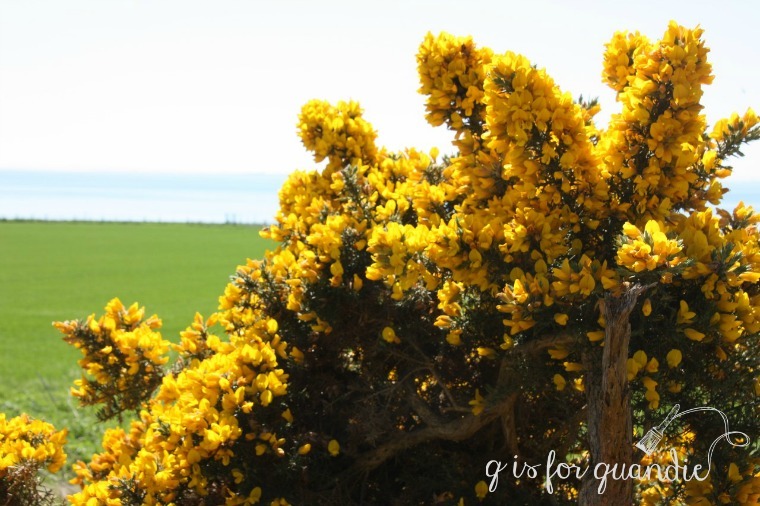 But in the meantime, I’m feeling a little sad that we aren’t heading off to Ireland this month so I thought I’d re-live our last trip today by sharing some of the beautiful spring gardens that we saw. 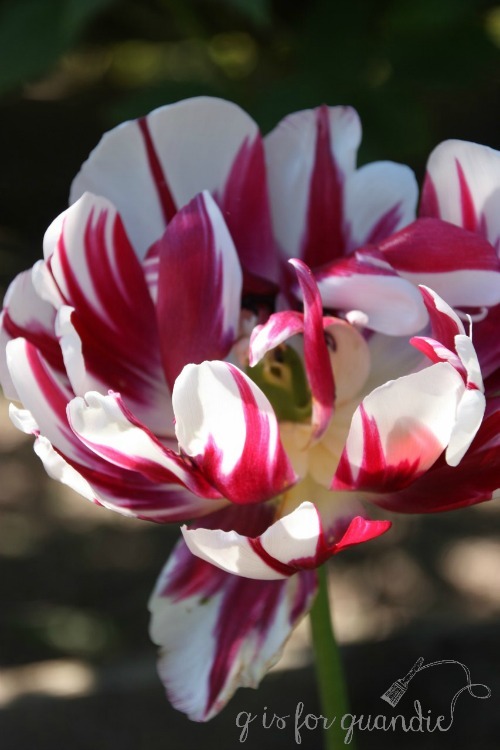 And these gorgeous red and white tulips at Dunrobin Castle. I’m guessing that the growing climate in Norway, Denmark and Scotland is very similar to ours in Minnesota because I saw lots of plants that I recognized and that I grow in my own gardens, like hostas and allium. I’m guessing that is some sort of rhododendron or azalea? Does anyone recognize it? Here’s a close up of the flowers, which grow in a cluster. 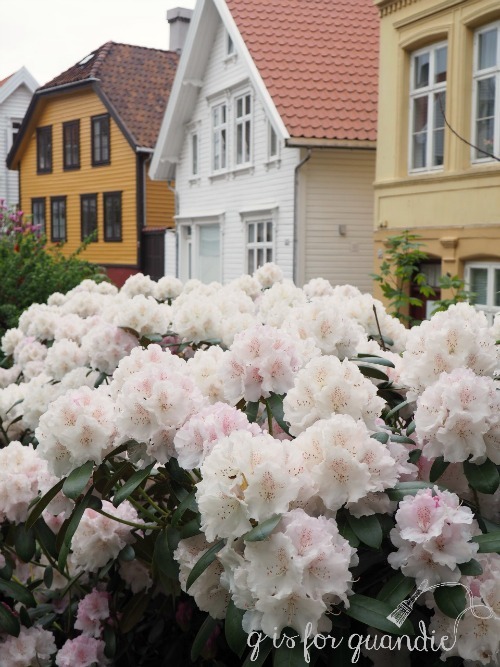 I also didn’t recognize this blooming tree I saw in Kristiansand, Norway. 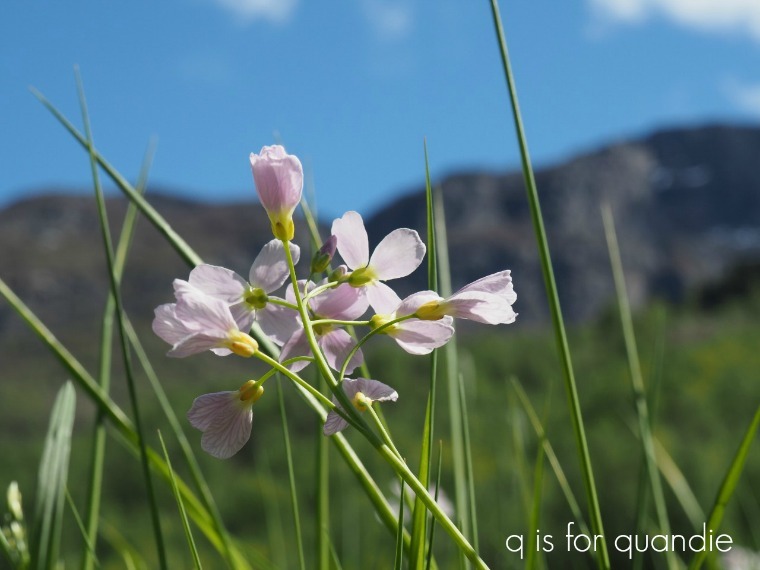 And I’m not at all sure what this pretty wildflower in Flåm is, but I think it might be called Spring Beauty. Some flowers were unique to the areas we were in, like the Scotch broom. Although we saw this flower in Bergen too, so I don’t think Scotland can totally claim it as their own. 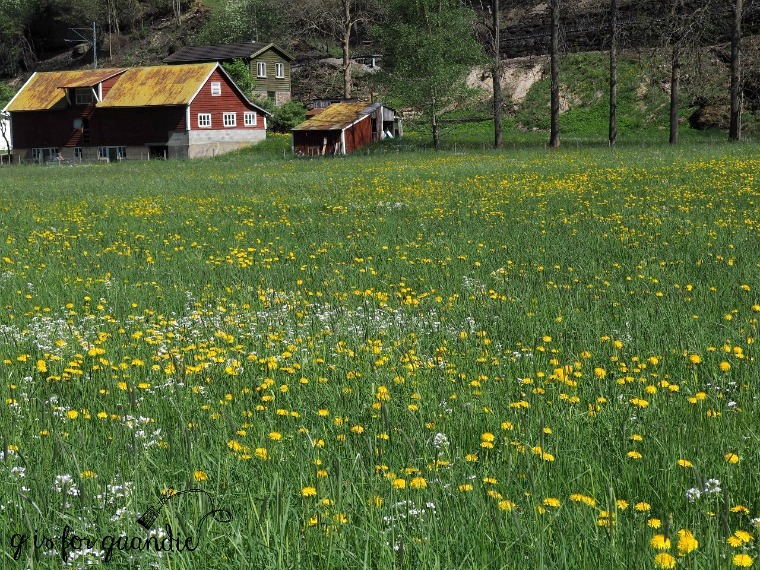 We enjoyed fields of wildflowers everywhere, like this one in Flåm, Norway. 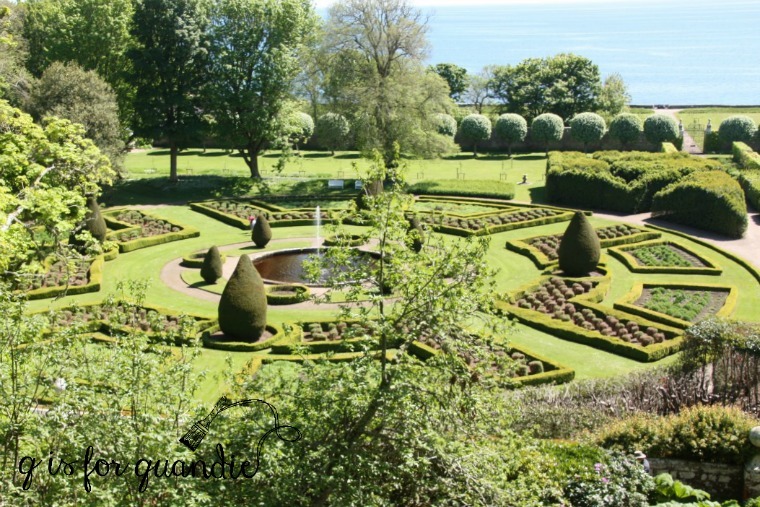 We saw huge formal gardens in the French style at Dunrobin Castle. 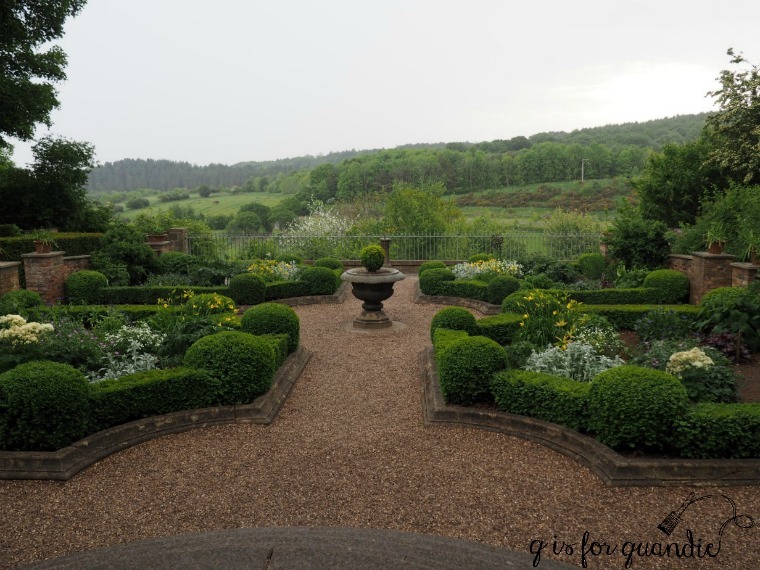 And a little smaller but still formal garden at the Beamish. 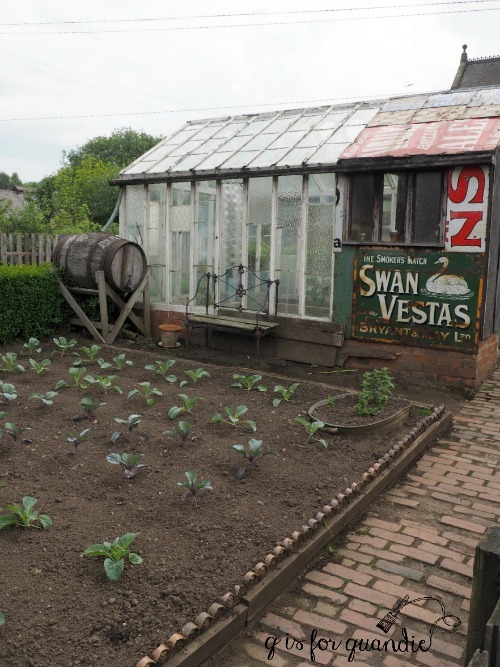 And charming little kitchen gardens at the Beamish also. You know what I just realized? Writing this blog post is not helping. Now I’m wishing even more that we were heading off to sail around the British Isles this week! Dang! Well, at least I won’t miss seeing the lilacs bloom in my own garden this year. How about you, any fantastic summer travel plans for 2018? I’d love to hear about them, so be sure to leave a comment so I can live vicariously through you! Previous I just can’t help myself. Love the photos! I can’t identify any of your unknown flowers but I appreciate their beauty. Since it has been in the 90’s all week in Texas, it sort of feels like the blooming season here is starting to go downhill, so it is nice to see places where the flowers abound. Sorry about the vacation missed, but I’m sure something will work out. I was just chatting with my mom who lives just outside Las Vegas and they are in the 90’s now too. Phew! I know she struggles to keep things growing in her climate. Beautiful… I always miss seeing my Magnolia in bloom. Dang. Fortunately it blooms again in August. I don’t know if that’s normal but this is my husbands parents home, so I always say it’s his mom saying hello. 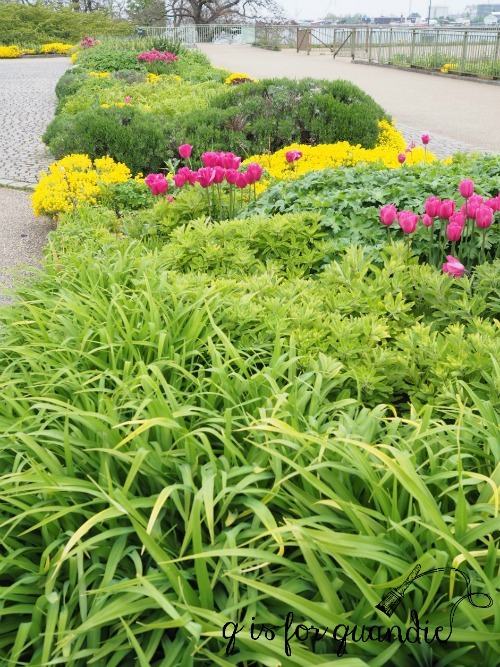 There are some pretty gardens to visit though in Canada and the US. 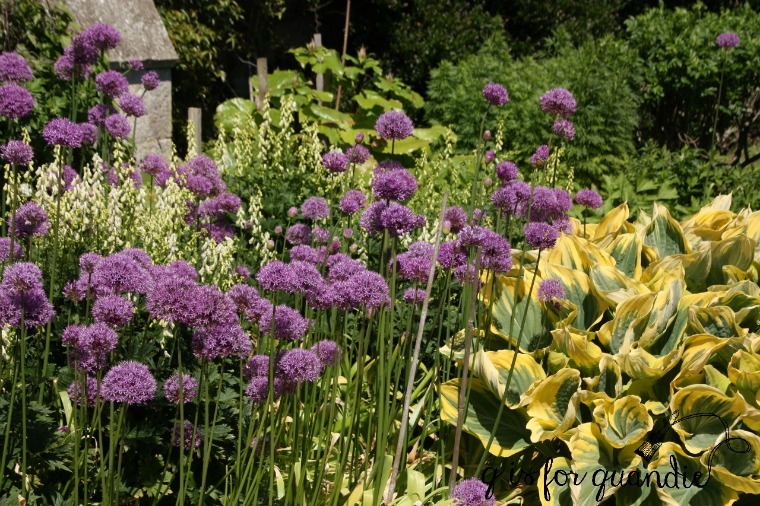 They are especially pretty in June… I always enjoy your garden photos. So maybe you and your sister can take a road trip? What a sweet idea, that mom is saying hello. I love that. Well, one of the other 4 trips that fell through was a road trip with my niece and sister. And another was a cruise to Alaska with some extra time in Vancouver, where I would have tried to get to Butchart Gardens. But I’m sure we’ll come up with something yet this year! It’s wonderful that you captured so many memories of your trip. 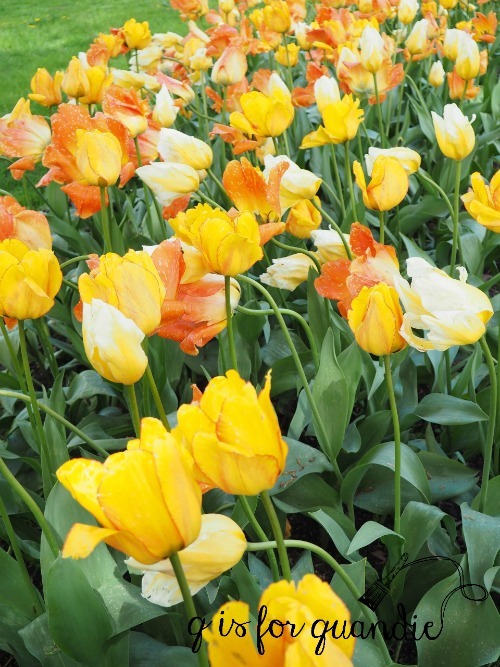 A couple of places on my bucket list to see are the Tulip Festival in the Netherlands and the Chelsea Flower Show. I think that’s a rhododendron blossom rather than an azalea. 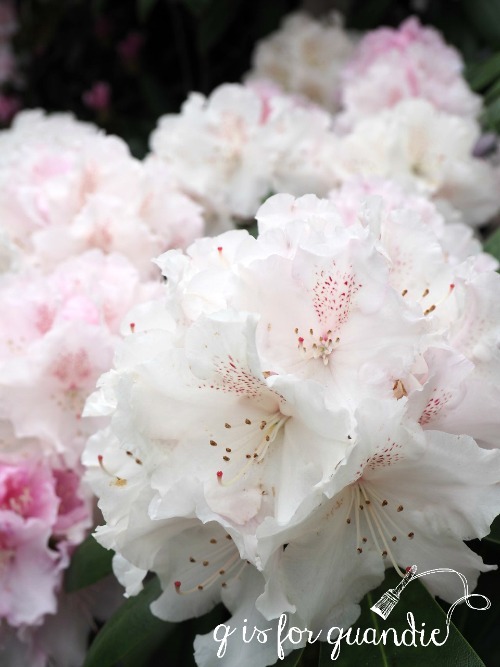 The azalea, rhododendron and mountain laurel have very similar blooms so I’m not certain. We had lots of rhododendrons growing wild on our property at our previous home in the mountains South Carolina. I had planned on a trip to Alaska this summer but I had to reschedule until next year. Everyone my son has ever known is coming to visit Alaska since they’ve moved there. So I am in same boat you are. I did just return from a long beach trip however my husband is working there so he is not on vacation. I have been wanting to get to the Netherlands to see the tulips for years now! Unfortunately that takes place around the same time as the annual audit at my day job, so the timing is really difficult. One of these days I hope to make it work though. As for that flower, I think you are right about it being a rhododendron rather than azalea. I did a little googling just now and the rhododendron flowers are clustered, while the azaleas usually are not. Good eye Victoria! You made me curious about the bluebell, so I googled it. 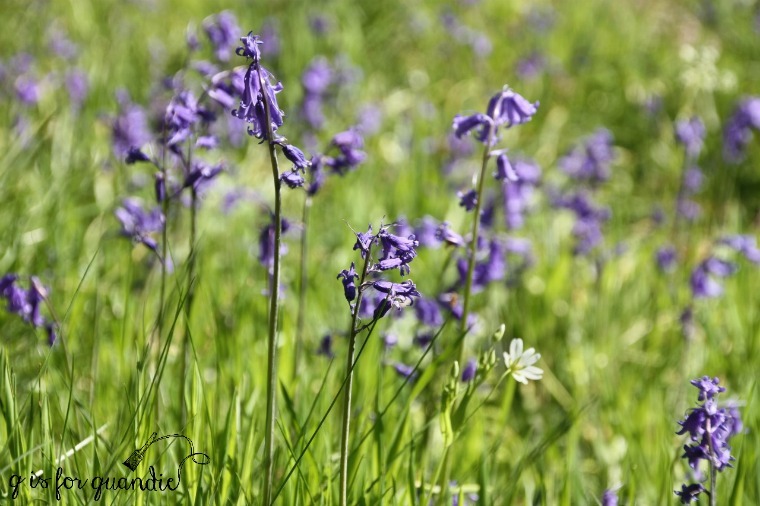 Turns out the bluebell you are thinking of is the Hyacinthoides non-scripta, or the common bluebell in England where it is protected under English law. The flower that is commonly called the ‘Scottish bluebell’ is technically a harebell or Campanula rotundifolia. And just for fun, we have an entirely different bluebell here in the states, the Virginia Bluebell (mine are going to bloom soon) or Mertensia virginica. 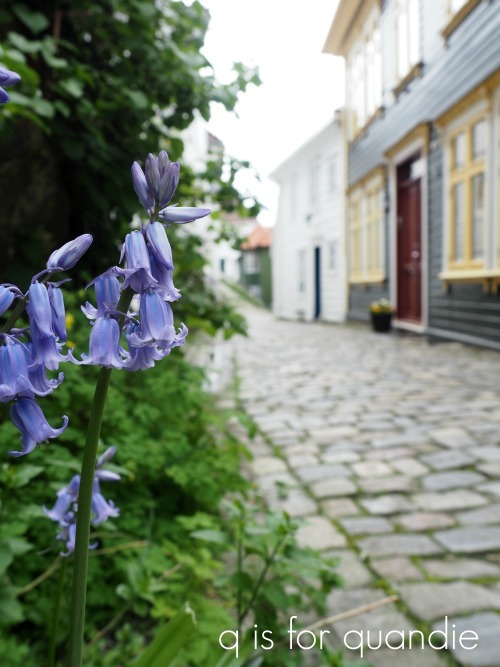 I have to say though, I’m not sure which bluebell I took photos of in Scotland or Bergen. From photos online I am guessing it is the protected bluebell and not the Scottish bluebell at all! Lovely photos from you, to a fellow lover of all types of flowers. I always look at plants no matter where I travel. My husband and I are doing a river cruise on the Volga in July from St. Petersburg to Moscow and several ports in between. It came up at the right price for us too. We’ve been thinking about for a couple of years. Anchors away! Oh my goodness, I’m so jealous! You must let me know how you like that trip, it’s one that has been on Mr. Q’s wish list. We have been to St. Petersburg and really enjoyed that lovely city. If you’re looking for a fun book to read prior to your trip I suggest The Kitchen Boy: A Novel of the Last Tsar by Robert Alexander. I totally enjoyed that book and it will put you in the proper mood for a trip through Russia. 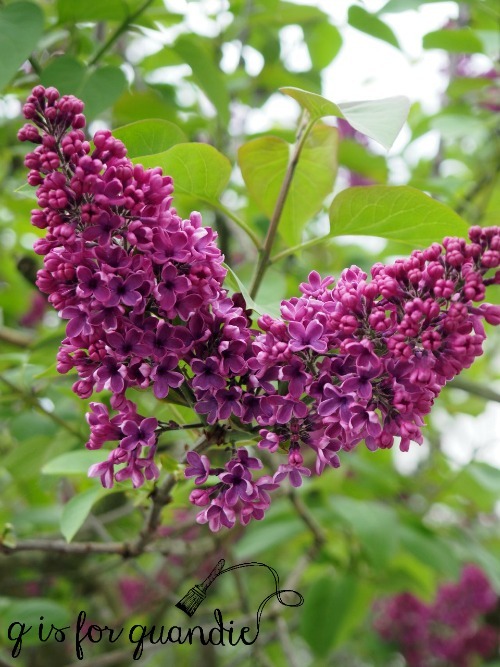 You’re in luck because for the most part lilacs can be ignored. 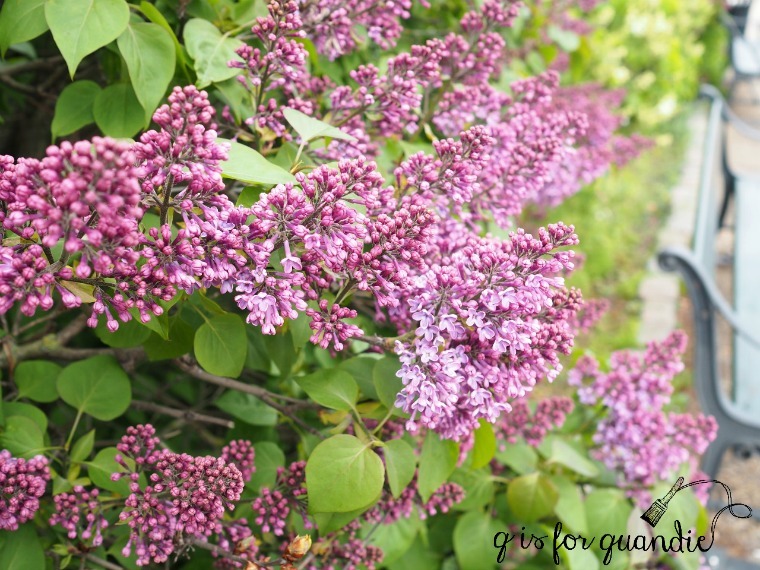 They are tricky to prune (must be pruned immediately after blooming), but you don’t have to prune them until they get over 6′ tall. So you’ll have a few good maintenance free years out of them first. I think that is especially true of cruising. There is just something about being out at sea that leaves you feeling like you truly got away from it all! It would make sense that I wouldn’t recognize a cherry blossom because I don’t think that there are many varieties that will grow here in Minnesota. We have lots and lots of crab apple trees blooming now though, and it’s the same story. One dose of bad weather will make their brief blooming time even shorter. But they sure are gorgeous while they last! 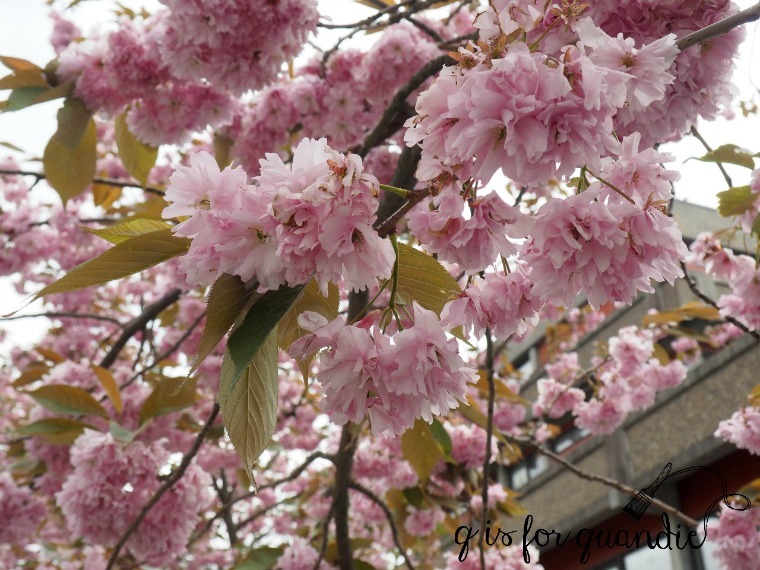 I was fortunate to catch the cherry blossoms in Washington DC one spring when I was there. Even to a 20 something guy, it was pretty beathtaking. I am feeling nostalgic seeing your pictures from Copenhagen. I just found out this week that my aunt, who lives there, is moving into their equivalent of an assisted living. She has lived in the same apartment in a beautiful old building in Frederiksberg my entire life. We’ve visited her there every few years since I was a baby. I always remember the scent of the gorgeous flowers in the flower boxes and the wood from her banister. Unfortunately we will not make it there to see her in that apartment one last time. 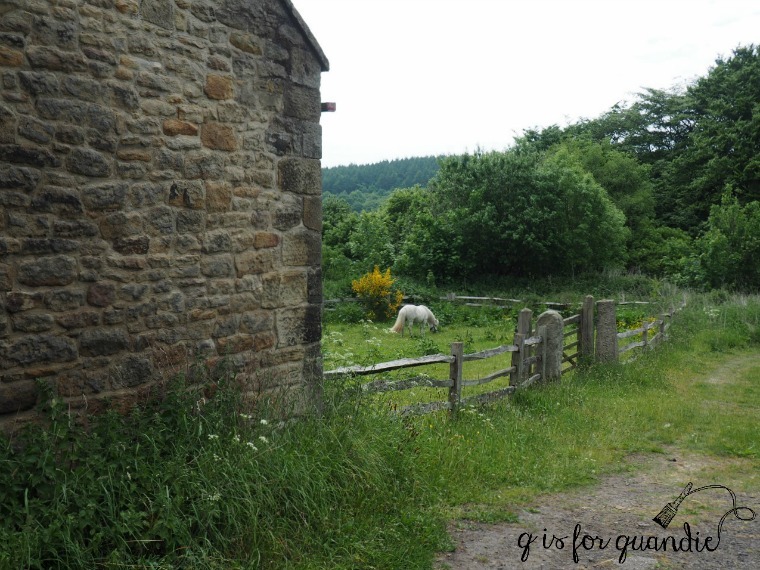 Thanks for the beautiful pictures and your inspiring blogs. As I write this, I’m taking a break from a day of painting projects! Oh, that makes me a little sad too Connie! And isn’t that the posh area of Copenhagen? How amazing that you went to visit so often. I bet that was amazing. Yes, Frederiksberg is very nice but I guess I hadn’t thought of it as “posh!” When I was growing up, others kids went to Disneyland. I went to Europe to see family lol! I wouldn’t trade that for anything though. It is very much a part of who I am and I treasure the memories. Thanks for sharing YOUR memories with us! I hope you are able to go on another trip somewhere soon. I hope that even though you missed out on Disneyland at least you got to go to Tivoli! do you have a date set for your spring sale? I’m not doing sales at my house anymore Susan. It just got to be too much. Now I sell mostly on consignment at Reclaiming Beautiful in Stillwater.